Can't purchase Super Stardust VR from PS Store? 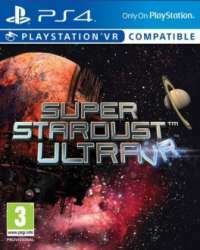 I want to purchase super Stardust ultra VR from the PS store but it won't let me. When I visit the store on the PlayStation 4 it says "Not available for purchase". If I click tell me more it says I already own it, but I do not own it. What is going on here? If you already own the regular version if super Stardust ultra you won't be able to purchase the regular VR version. Instead you need to buy the VR upgrade for 9.99. annoying considering the regular VR version often goes on sale and the upgrade does not.